CENTURY WEST follows the life of Century, Texas, from sleepy settlement to twentieth-century boomtown, and three men on whom the change has a profound effect. The three men are all settlers from the east who establish themselves as Texas Rangers, becoming an indelible part of the story of the American West. It’s a story that has always fascinated self-described “New York Jew” Chaykin. 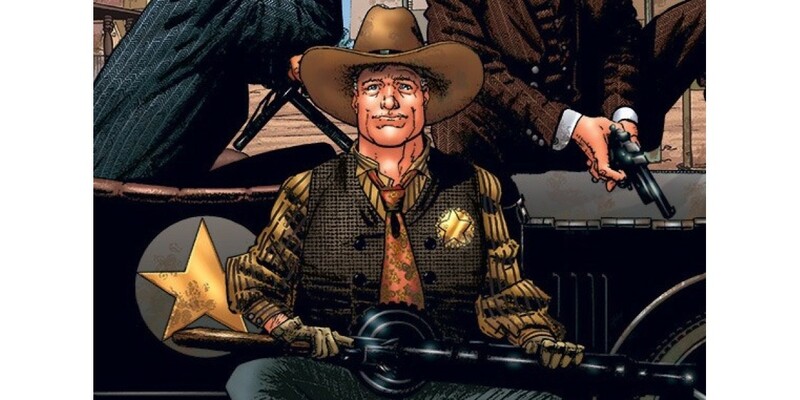 Chaykin has also spoken to Comic Book Resources about CENTURY WEST. Originally created for Disney Italia, CENTURY WEST has been published in Spanish and English, and September’s Image Comics edition (ISBN 978-1-60706-788-7) is the first time the 64-page graphic novel will appear in English. It can be pre-ordered now from the July issue of Previews.